This recipe calls for one of my favorite and increasingly popular cuts of beef, flat iron steak. 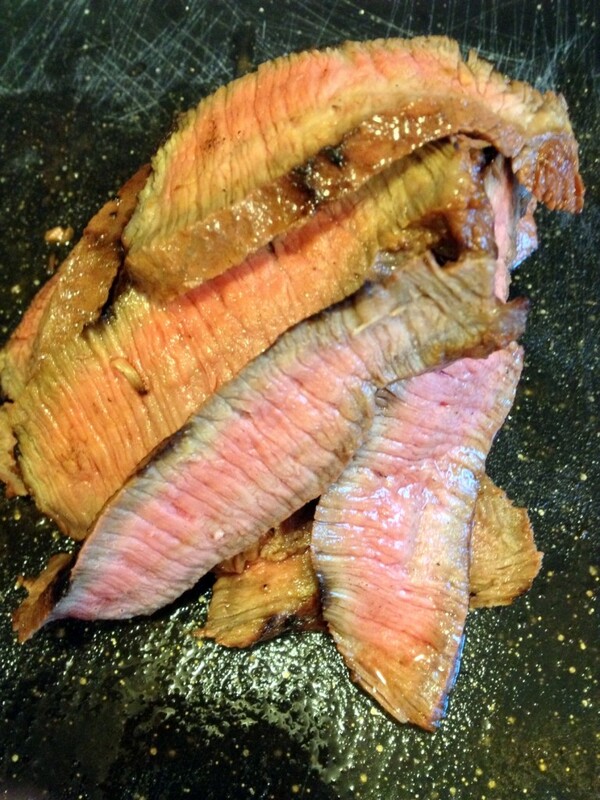 The flat iron steak comes from the shoulder and is similar to flank steak. It is a delicious cut of beef that is relatively inexpensive and is good for serving a crowd. 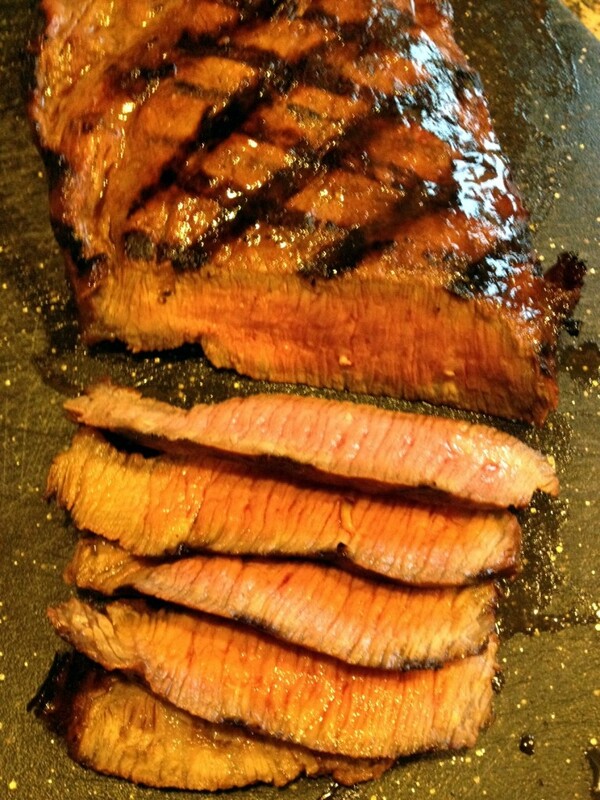 Like flank steak, it is best served medium-rare and thinly sliced against the grain which makes each bite is tender and flavorful. The marinade I use is really easy to throw together and adds great flavor without overpowering the delicious flavor of the beef. Make sure you get your grill nice and hot before you start – a quick, hot sear is essential with this cut of beef. About 4 – 5 minutes per side is all you need. Let it rest and slice against the grain. That’s it. Serve it up with some crusty bread, grilled veggies and the leftover marinade that’s been reduced. You’ll never reach for a bottle of steak sauce again. Get your grill nice and hot before slapping the meat on. This cut requires a hot and fast sear. Juicy, tender slice of great grilled steak. Whisk Worcestershire sauce, soy sauce and brown sugar in a large bowl until sugar has dissolved. Add garlic, pepper, salt and Dijon mustard. Whisk until mustard is combined. Place steak in a re-sealable plastic bag and pour in marinade. Press out air, seal and marinate, laying flat in the refrigerator, turning every hour, for at least 4 hours, up to 12. 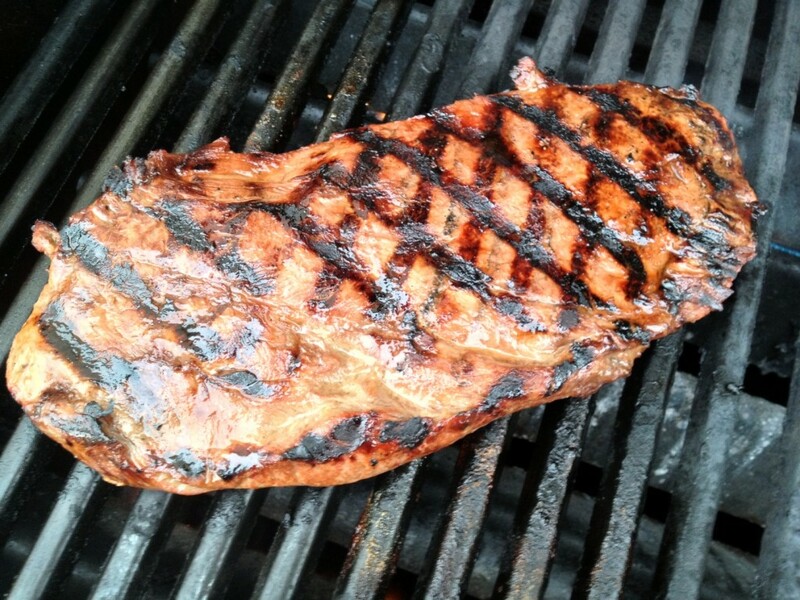 Remove steak from refrigerator about 30 minutes before you’re ready to start grilling. 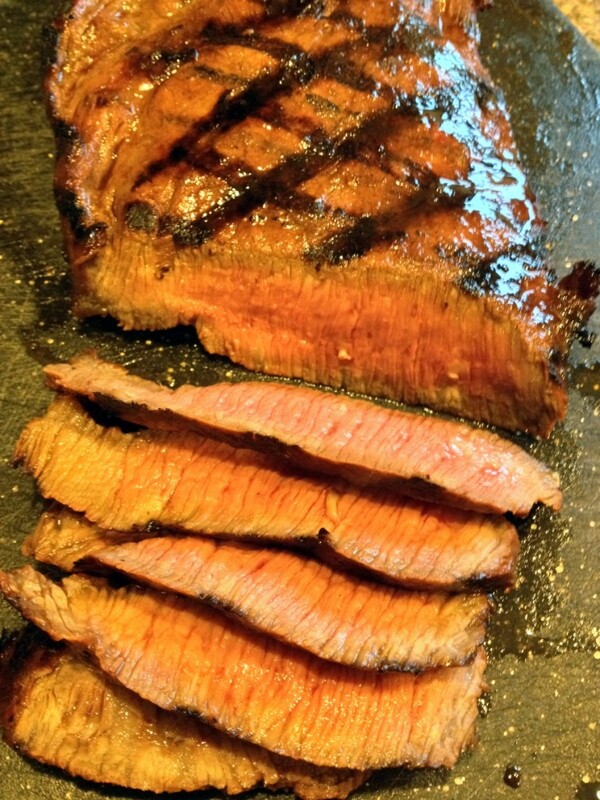 Remove steak from marinade and pat dry with paper towels. Bring remaining marinade to a boil in a small sauce pan over medium-high until reduced by half, about 12 minutes. Set aside. 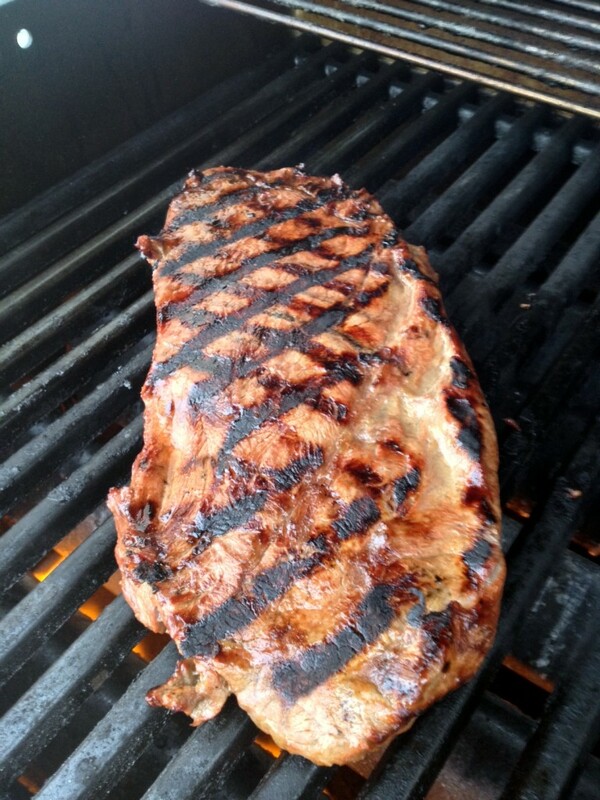 Grill steak for 4 – 5 minutes per side for medium rare. 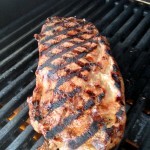 Remove from grill and let rest for 5 minutes before slicing. Thinly slice against the grain and serve with reduced marinade.